Africa has been a lot of things and more in regards to its beautiful deserts, wildlife, nature, and therapeutic waters. These beautiful islands within Africa situated in choice locations all over Africa offer tourists and locals alike a haven to visit. The pristine white sand beaches with their cool breeze lift one’s soul to give the clarity needed. Not to omit its wonderful people who give off the most positive vibes possible by just living. 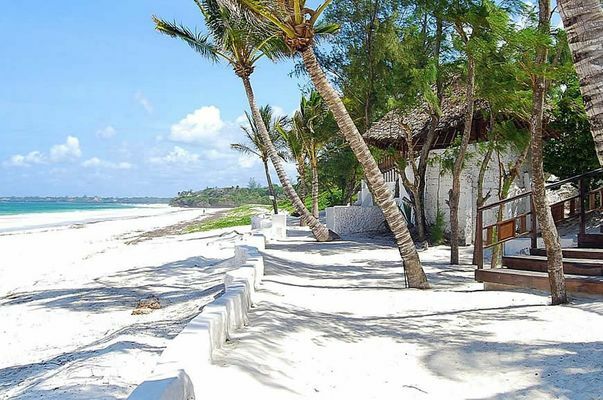 For a country untouched by pollution and other world hazards, Zanzibar has soo much to offer that its sun shines happily daily. The history and Culture steeped in this one place would get you screaming for joy and possibly exploring more than its beaches. The beautiful Zanzibar Island is a recipient of the well-known UNESCO World Heritage award courtesy of Stone Town. Here the visitors can come together to see the ancient architecture left behind from the Arabs occupation of the Island. Tourists can also go through its spiralling alleys to discover the serene and inspiring work done. For colourful and amazing arts visit the popular markets, art districts, and museums to have your fill. Not to miss is the well publicised Spice Island where you can find various spices for home use and general care of the body. Go from stall to stall tasting different fruits, perceiving the sweet aroma of the spices and maybe getting a garland to wear. The Island of Sao Tome is a beautiful and closely knitted community where little tourists visit all year round. It is located right on the Equator and a good place to explore water sports like snorkelling and diving. One impressing thing to do is to visit the sleeping Fishermen’s village which is very tranquil to unravel. As Ethiopia is known to have the best Coffee in Africa, Sao Tome is notorious for its chocolate factory. 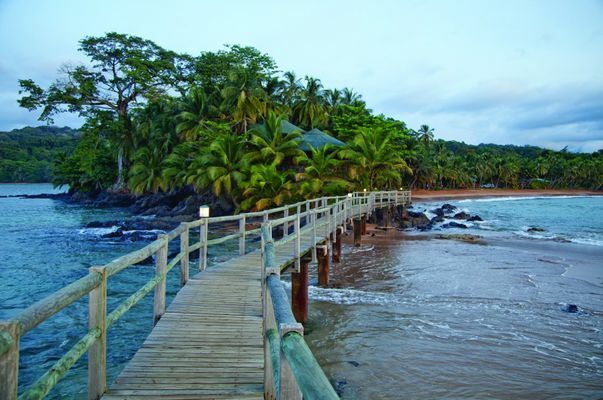 Visiting Sao Tome Island without tasting their exotic chocolates. Is that one a visit? Trek down to the Chocolate factory where you can learn how the processing of the cocoa pods takes place down to the end products. You can also have a taste of one of the best coffees in the World. Sal this beautiful African Island provides one of the best getaways for relaxation and experiencing the calm island life. As its name implies Sal means Salt in Portuguese gives off the good vibes upon stepping on its shores. Santa Maria should be your first stop as this is the central area on the Island where you can find different entertainment and sustainability. 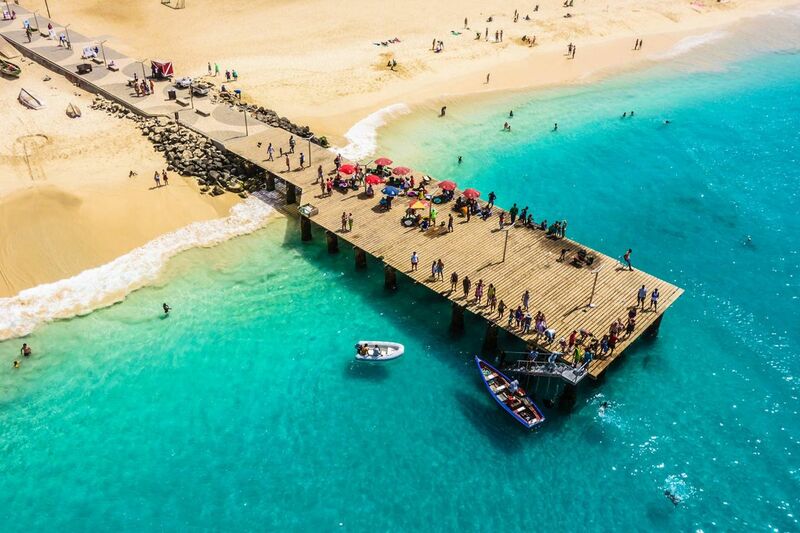 From live bands playing alluring sal vibes to bars where merriment and enjoyment abounds, you can find locals to engage and activities to fill your days. Pronounces Mwali, Moheli is a sparsely populated island nation and quite underdeveloped with little or no modern amenities to show. If you are looking to escape the insanity of city life, get off everyone’s radar for the time being then consider Moheli. 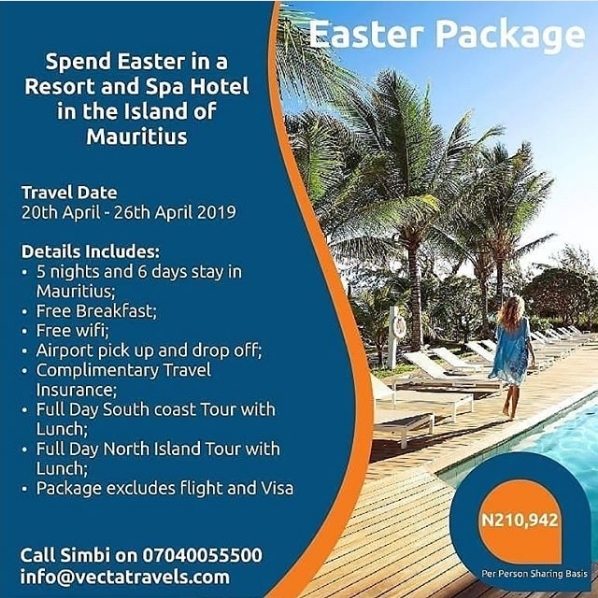 It is the smallest of the three Comoros Islands which means its rarely visited and less explored to increase its allure for first-timers to visit. When there do not forget to visit the Moheli Marine Park which provides the opportunity to go Snorkelling. During this activity, you would see several coral reefs, whales, dolphins, sea turtles and more. For a culturally rich island, Djerba which is a North African Island stands out to tourists not just for its sandy beaches and water sports. But considering its array of delicious cuisines the foodie traveler would find it irresistible. Djerba has been one of the remaining locations in Africa where the almost extinct Berber language is still spoken and widely accepted. Madagascar came to limelight after the famous Animation named after it. This inspired Tourists Nigerians included to visit and find out what the rave has been all about. As opposed to the set, Madagascar is not just a jungle there are other sides and charm to it. Being on the Indian Ocean has earned its waters the turquoise blue it has. For sumptuous seafood served on the beach Nosy Be is a good place to visit and bask in the rejuvenating sun. 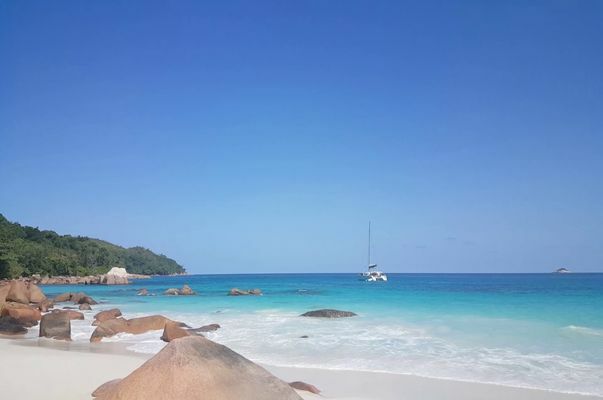 Seychelles has been one of the most visited islands in Africa with its beautiful beaches and white sands that spread as far as the eyes can see. Resorts like MAIA Luxury Resort and Spa give the tourists the opportunity to have an all-inclusive holiday exploring the private stretch of the resort. Going from one attraction to the other is enough time to see places like Praslin and explore their beautiful tropical forests, the Mai Nature Preserve of most floral and faunas in the area. Praslin has the history of being a haven to Arab merchants and Pirates during their voyages and privateering. Praslin forest is also a good location to engage in birdwatching and reflections. Mauritius has a long history of inhabitants and settlers dating back to the 16th century when Dutch, French, and British troops visited. It is an archipelago of beautiful coral reef, marine creatures, and clear blue waters. It has a network of advanced tourism providers willing to sustain and improve the general overview of the tourist sector. 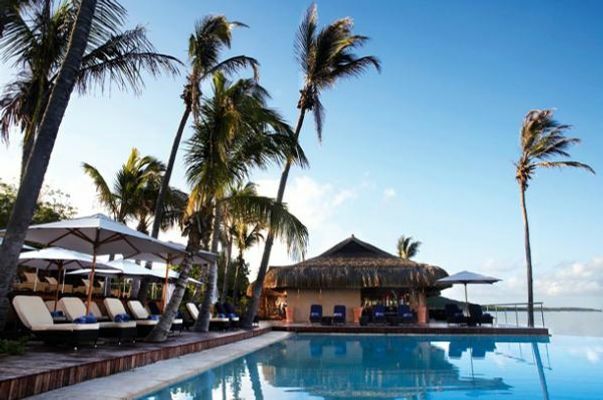 Bazaruto is an archipelago on the South of Mozambique which boasts of a National park, forest, and coral reefs. It is a choice island for divers and water sports lovers who can easily appreciate the marine life in Bazaruto. Rare species in Africa like Mackerel, manta rays, whale sharks, rainbow fishes, and others are found in the waters. One thing to look forward to is snacking on well-prepared prawn dishes after a successful day exploring. Lamu is an old Island in Kenya which got its UNESCO World Heritage status due to its well preserved Swahili settlements. The houses and alleys give tourists the idea of going back in time seeing the everyday living of locals. Lamu is a peaceful island with a conservative living so whenever you are around, do well to learn more. As Africa overtime has become one of the top Wildlife viewing destinations in the world. Chief’s Island in Botswana is found on a Delta with little to Zero flooding. This makes it a great point for herds of Elephants, wildebeest, Zebra, and others to rest during the great migration. Proven to be a lover’s nest, Mumbo Island is a one kilometre land with a small population at any given time. It is a lazy location for camping tents to be erected, water sports like snorkelling, diving, kayaking etc. When visiting you can spend the whole day lazing around in a hammock or just taking in the views. Which of these islands have you been to? Share your experience in the comment section.